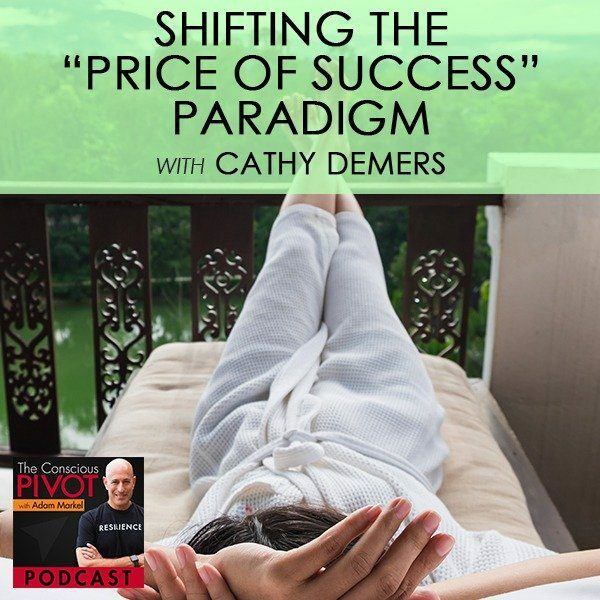 On today’s podcast, I introduce a new friend who truly embodies the meaning of a successful “PIVOT by design”: Cathy Demers, founder and CEO of BusinessSuccess.com. Cathy shares her pivot from the “pressure cooker” of a publicly traded company (that she founded and took public) to a business she loves and the blessing of being a lifestyle entrepreneur. Cathy’s struggle with a stress-based illness and the often conflicting interests of corporate life, drove her determination to conquer how to become successful in business, without paying the prices she previously paid. She too dismisses the myth of “balance”, and instead advocates for taking a longer term approach to holding a vision, redefining what success means, and then “relaxing into it”. Cathy and I also talk about success rituals and the creative tension between wanting to build something really big and exciting – and enjoying the process along the way. Learn more about Cathy and the wonderful work she does in the world for small business owners at www.BusinessSuccess.com. I’m very, very excited to be here. Why am I excited to be here? Because I woke up and it feels good just to be here. I know that you’ve got challenges. I’ve got challenges. There are challenges in the world all around us and the only thing I know for certain is that it’s a blessing that we can be here. That makes this moment holy and makes this day holy and makes everything we’re going to be doing now and going forward, if we’re lucky enough to have a go forward, it makes it sacred. I feel very blessed as well to be here with somebody that I absolutely adore, a new friend, somebody that has been introduced to me through somebody else that I adore. I just love how the universe is continuing to provide access to amazing people and opportunities to collaborate, just so beautiful. I just want to once again express my gratitude to all of you for tuning in, for being a part of this podcast. It’s about consciousness and how it is that we utilize change in a conscious way in a world where many people are running on default and has a lot of habitual activity that goes on that is really costly in many ways. I think rather than being in a state of reactions to those things, we can respond. That’s all about consciousness. In this moment, I’m grateful for you being here. I’m grateful to be alive and I love my life. I hope you love your life right now. I’ll remind you, guaranteed before we’re done, of how important it is to be when wake up every day, raise our consciousness, feel grateful and love our lives. With that, I get to introduce and bring to our podcast this beautiful, beautiful lady, Cathy Demers. Cathy, it’s so great to have you with us. Would you share a little bit about what’s important to you right now, what you’re working on, what are you incubating in your own business life? I know you’ve got lots and lots of success along the way; CEO of a publicly traded company and one of the founders and creators of the company that had that incredible result of going from ideation to being publicly traded. That’s a magnitude that most people have never, never seen. I’d love to find out more about you and our folks are really curious. Welcome to the podcast. Adam, thank you. I feel really blessed and really lucky to be invited to be on the podcast. You started your comments about feeling lucky that you woke up this morning. Adam, I know that you have lots of what I would call Adam-isms. I’m going to start with one of my Cathy-isms. Last night, I dreamt I won the lottery and this morning I woke up. I guess I did. I feel that way often. I want to give you a bit of an introduction about me and then I just want to start to fill in a little bit of the gaps with a little bit more of a personal story about me than I usually tell. I think it will feed in to some of what we’re going to talk about. As you mentioned, I was CEO of a publicly traded company. It was a huge job. It was a wild ride. One of the things that I didn’t particularly like about it is when you’re the CEO of a publicly traded company, there are a lot of conflicting interest. If you’re a person who likes to make people happy, I found myself in a position very quickly where it just was not possible to make everyone happy and I have to grow up in a hurry. I managed to do that. I worked for years for Microsoft and then at IBM and then I started this publicly traded company. Now, what I’m doing is I have launched a new business, BusinessSuccess.com. I have big plans for that. One of the things that happened to me while I was taking this company and growing it, getting financing in and then eventually taking it public is that I got sick. I think a lot of people have these stories that are inspiring and I don’t like to tell this one. I have this big issue around vulnerability. I say the word vulnerability, Adam, and the little hairs on the back of my neck stand up. It’s just the truth of it for me. I think it’s important because I want to make some comments about that. What happened was I started getting quite sick on a frequent basis. This had started awhile before and it started to get very, very serious. When I got sick, I ended up with two hours to get myself into the hospital. I was hospitalized maybe 30 times and many of those times in ICU. They managed to bring me back from the brink. They didn’t know what was wrong with me. I didn’t have a diagnosis and eventually, they figured out what it was. I call it the Kermit the Frog disease. The reason is because it is the same thing that killed Jim Henson, the creator of The Muppets. I have my own little mascot and that’s Kermit the Frog. It’s called Recurring Strep Toxic Shock Syndrome. I’ve been very lucky because normally in 70% of the cases is diagnosed, as it was with Jim Henson, postmortem. It sounds really bad but I managed to make it through. It was interesting though because when my time with this company that I took public came to an end, it was really important for me to take a look at how was I going to be successful in business without paying the prices that I was paying because they were massive. A lot of it was stress. The stress caused by a number of different things. A lot of it was the environment that I’m in. Swimming with sharks, there’s blood in the water. It can get pretty messy. I was a lawyer for twenty years. It’s so important to live your life as if you’re going to die tomorrow because you might. I love the lawyers that I had with me. One of the expressions was, “When you’re swimming with sharks, you’ve got to bring your shark with you. It’s a good idea.” I really needed to step back and take a look at how I was living my life. There’s this expression that has been really important to me over the last several years. It goes like this, “It’s so important to live your life as if you’re going to die tomorrow because you might.” I did have that in front of my face. One of my bucket list things that I did recently, crossed off my bucket list, was to visit the Sagrada Família Cathedral in Barcelona, Spain. One of the reasons it was so important to me was because that cathedral was started in 1882 and it is still under construction. Gaudí, he had a vision much bigger than how much bigger than even his lifetime. He knew it would never be completed in his lifetime. There was a fellow I read about not too long ago who lived to 114. He was in a Nazi concentration camp. He weighed 80 pounds at one time and he still managed to recover from all that and lived to 114. To live your life as if you’re going to die tomorrow but as if you might live to 114 or even beyond that. It was a real struggle for me for quite a while after I left this company to find that balance, to find that place of creative tension between, “I want to build something really big and fantastic and live this exciting business.” My business is so exciting, I love it, and yet to realize that I need to be enjoying the process every single day along the way because I might not wake up tomorrow or I might get sick again and end up in ICU and not come out. That’s a reality that I live with but it is so true for all of us. We just don’t literally have it in our faces quite so much as we do. I wanted to give that overview of where I’ve been professionally and business-wise, but also the pivot that I’ve gone through since leaving that pressure cooker that I was in. I still love business. Business is one of the most wonderful games we play as people. I love it. It is a delicate harmony. I more often than not would say the word balance but I don’t, of late, really want to perpetuate this myth about balance. That we’re seeking balance. Those two things. For those things to live sidelong, having great desires and goals even dreams and at the same time not being attached to the point of it being creating suffering. That’s really what we’re talking about. I was a lawyer for eighteen years and I suffered a great deal in the sense that I was out of alignment, not doing work that was really purposeful or it didn’t feel fulfilling. The stress really set on me much in a deeper way. It sounds like in your corporate role, even though it was exciting and you did something, as they said at the outset, most people never, never see that side of things, and yet it wasn’t quite all it was cracked up to be, it sounds. It was a wild ride but the prices were pretty high that I paid on a personal and health level, quite high. Maybe there are people who do that. They take companies public, they run large organizations, and they don’t stress over. They find some way to enjoy that process, but that was not for me. I’m glad I didn’t go through. Have you ever read Steve Jobs biography? It’s really a great book. It’s like a business course, the tone that Isaacson on the book that he wrote about Jobs. I came away from that book thinking to myself, “This man has changed the world and his legacy will live on for many, many, many years both good and not so good as well in certain areas. He paid a big price for it.” That’s part of what you’re talking about. I truly believe that he paid the price of his life to hold the vision. He held so intensely and with such intractability, just relentless pursuit. Price of Success: We feel a lot of pressure and it’s pressure from within. This is why I mentioned Gaudí and the Sagrada Família. I’ve encouraged people to look it up. It’s an amazing, amazing accomplishment. Right from the beginning, he thought, “I’m not building a church. I’m building a cathedral.” That’s what I want my business to be about. I want it to be a cathedral. It means taking a longer term approach to it and enjoying the process. Gaudí knew it wasn’t going to be finished. He knew his cathedral would not be complete when he died. He knew and that was okay. I think there is that part of relaxing into it that as business owners, I think we’re really challenged to do. We feel a lot of pressure and it’s pressure from within. Share, if you could, some of that pivot. Any aspect of either the pivot that you’re talking about out of corporate CEO of a public company into an entrepreneur. I know a bit about your story. I would love it if you’d share just how it is that you made that transition to a more harmonious life that you’ve got. You’re helping people and you’re doing business you love and you’re successful and you’re not at that level of overdoing it or overstressing to the point where it’s actually impacting your health and your well-being. Part of it is quite structural. When I started this company that I eventually took public, my partner and I, we started it with a $10,000 investment. It’s a classic startup. My partner took it and purchased one computer. They were a lot more expensive back then and then we were broke. It was a very classic bootstrap to start with. We started I was working on my living room table and he was working in a small bedroom in his attic. At that time, we didn’t tell people that we didn’t have an office and a big staff. We didn’t want people to know. When people started finding out, we thought it would really hurt the business. We had a lot of people who were jealous. Now, look at us. This technology, I bless it every day because it has changed the structure of how I do business. I am not in a crazy commute. I don’t get out much actually. I love to travel but I don’t like the hectic travel that I used to have to go through. I don’t have a crazy commute. I’m usually in my work uniform. My husband tells me all the time, I should take my bathrobe and get my name put on the front cover and my logo on the back. That’s my work uniform and it’s unusual for me to dress this time of day. It is structurally and much more relaxed lifestyle and far more productive. That’s part of it. I think it’s just fabulous that the technology allows us to do that and that social norms about what it’s like to be successful and run a successful business have changed. I have an amazing team and they love this lifestyle as well. I’m really grateful for the technology and the attitude towards telecommuting as we used to call it has become. Price of Success: If you’re not really careful about how you go about acquiring success, then it becomes a poison pill. I think the other thing was to really step back and think really hard about how I managed to get myself into the pickle I was in the first place and what it was that wasn’t working for me because success, it can be very addictive. It’s one of those things where if you’re not really careful about how you go about acquiring that success, then it becomes a poison pill, if you will. It becomes the thing that actually brings you down. I wasn’t willing to give up success. I love it but I had to really redefine what it meant so that I could structure a business and structure a life that supported my definition of success. That required me to do some internal work about what was really important to me. It wasn’t about the money. Money is important. People tell you, “I don’t need much money.” Most people would like more money if they are not doing the things that they can do. People have accused me of being rather down to earth. I drive a ten-year old car mostly because it holds the dog. I don’t feel like buying anything really expensive but I do like to travel in that. Money is important but for me it’s about prosperity. One of my mission is to enhance the prosperity of small business owners around the world. Prosperity is about more than money but it’s really hard to feel prosperous without an adequate amount of money. Stepping back and going, “What is success mean to me?” and to really design my life instead of having my circumstances define how I was going to live. That’s the essence of a pivot. It’s great to hear it reflected back in different language. 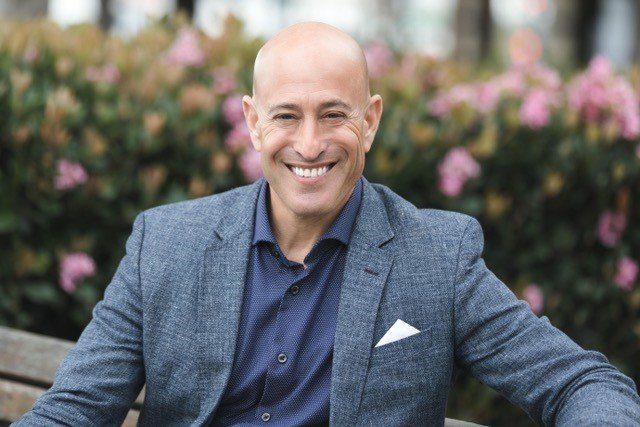 It took some soul searching and getting some help actually from some coaches who were skilled in helping me really figure what my core values were, really figure out what was attracted to me about business success that I could structure things differently and still have that incredibly juicy success. I didn’t want to give that up. This is maybe a point of vulnerability for other people. I don’t know if it’s still a vulnerable point for you. Coming out of a business that was successful but that nearly killed you and I’ve got to say the same thing. Eighteen years in a practice of law and highly successful on the scale that I would have judged it by at the time and what other people would judge success by, which was the money, possessions, power, prestige, title, all that kind of stuff. I had all that but miserable and every day angry and waking up with anxiety and dread. I could get ticked off really, really quickly. All that stuff, that’s a symptom of something else that’s going on, which was I was just unfulfilled and just inside going, “What are you doing?” At that point, I needed help. I had a near-death experience which was a wake-up call for me of sorts and you had a wake-up call that almost cost you your life. Even though you’ve been successful, at that moment, probably the only thing you could have done based on what you knew was something very similar to what you’d already done. Everything we’ve gotten is the result of our best thinking at that time. To do something differently and have a different result, you needed to get some other thinking and help. That means you had to be vulnerable, be humble even as a CEO of a publicly traded company and have to go out and ask for some assistance. You mentioned coaching. Did you go out and get a coach? What did you do to bring about some new perspective? There were two things: One was I did get a coach and the other was that I saw a psychologist. I’m not afraid to say it. I don’t think I was having particular depression problems or anything like that. Everybody gets the blues now and then. Some people suffer from depression and I really feel for them but that was not the case. I just knew that I did not want to repeat that pattern. The pattern was to basically have the circumstances carry me away. Part of it was the excitement of the prestige and the position and the money and people thinking I was doing really well being a woman, this CEO of a publicly traded company and all of that. I felt that I really had to understand how I was making my decisions such that that happened, so I could put a different process in place. Both of those two things were really instrumental in helping me really get underneath that. It was clear there had to be a way. If I was left to my own devices with the same thinking that I had, I would make the same decisions again. I’m still in the position where I could end up back in the hospital this evening. I don’t know. That problem is not resolved. It may never be resolved. It’s true for most of us. We don’t know if we’re going to wake up in the morning, just don’t know. To live, like you said, that being able to simultaneously entertain conflicting thoughts such as, “I want to do things. I’ve got great, big grand plans, etc.” and at the same time to recognize that there’s a figurative guillotine that’s hanging by a thread over your head and how is it that you harmonize those two conflicting thoughts. It’s entirely doable. That’s the good news. I didn’t think through for the longest time. I thought it was an either or kind of thing. It does take some introspection, some thoughts, some planning and a really strong sense of self. The world is full of temptations and opinions and ought to’s and should’s and could have’s and all of that. Definitely it can be done. The rituals, the practices that you have in your life that help you to be more aware of those two things simultaneously and work with them both. I’m going to resist the word balance. I don’t want to use that to try to balance them because it’s the fact that they can co-exist. These are things that can co-exist and be harmonized in your life. I know that’s been my experience. It’s not an easy trick to pull off at times, but to be simultaneously seeking and also letting go. It requires being conscious of our ability to choose and consciously design our lives. That’s a good way of putting it, simultaneously seeking and letting go. It’s more difficult to do when you’re under stress. When we’re under stress, we tend to default to our old ways of being. It’s the natural defense mechanism. I think for me the most important part is to be really conscious of how I’m feeling at any given situation. In particular if I’m not feeling great, if I’m feeling stressed, if I’m feeling resistance, if I’m feeling resentful, whatever it is, then as soon as possible to immediately stop and say, “This is not what I want my life to be about today because this may be the last one. Do I really want to live it this way?” Then to look at and say, “What is it about it that’s not working?” and try and figure out how I can restructure things so that’s not a part of my life. It is a matter of being very conscious about how I’m feeling in the moment. If it’s not working then, “Is this the way I want to spend the rest of this next hour or this next day or this next week?” Probably not. It requires I think really being conscious of our ability to choose and our ability to consciously design our lives moment to moment. We’re very, very smart, very creative people. We can do it. We just need to be aware how important it is for us to stay on top of it and do it. We’ve got two choices really: the choosing part or the default part. That’s how we look at people that are making change or having change, which is constant. It’s one of the true constants in the universe is that change is constant. Then there is the change list, the part of us that is eternal and divine and unchanging and then there’s the part of us that is changeable and it’s not even the part of us. It’s really a part of our experience of life and how we are experiencing life. There is where we get to choose. We get to choose how we experience life, just like you’ve made a conscious choice, or you can get the default. The default, I don’t think is really an option. I am so thrilled that we are collaborating. In fact, I would love it if you’d share a little bit about your new company, what you pivot it into. Cathy, share about Business Success and how that’s getting started and what’s your cathedral with that company. One of the things that I’ve been doing for a very long time is an interview series called the Business Success Café. It’s a twenty-minute series where I interview people who have got solutions of all kinds for small business owners. I call it the perfect coffee break for busy business owners. It’s been going great. One of the best things about it has been meeting people like you and other movers and shakers in the small business area. That’s been going on for quite a long time now. I’m the poster child for what can happen when you find something that works well and systematize it and do it over and over again, get a great team behind you. Now, I’m putting it under the umbrella of BusinessSuccess.com. It’s relatively new. It’s the beginning of my cathedral. Price of Success: The one way that I become truly immortal no matter how long I’m here is by the influence that I have had on the lives of others, and then they have influence on other peoples’ lives. The objective of the Business Success Café is to really enhance the prosperity of small business owners and to really give them tools and information they need to be more successful. One of the things that I have come to realize in my life is that the one way that I become truly immortal no matter how long I’m here is by the influence that I have had on the lives of others and then they have influence on other peoples’ lives and other peoples’ lives. That to me is a definition of immortality. One of the great things about enhancing the prosperity of small business owners is that when small business owners are successful, they contribute to the prosperity of their families, their staff, their community, their state or province or their country and the world. It is in this arena, the BusinessSuccess.com that I make my biggest contribution and that is the cathedral that I’m building. I love the book by Stephen Covey about The 7 Habits of Highly Effective People. I don’t want to diminish or dilute the word habit. I just look at habits as being things that we do habitually, which means that we do them without thinking. For the most part, they just run like an operation. It just happens again and again. Great operations or great systems, they shouldn’t have to be rethought every time. I think of rituals as more conscious habits or intentional habits. I think when we’re changing something by design in our lives, we really need to be very intentional about it. We need to be very conscious. That’s my short definition of a ritual, not a religious one. What’s a ritual that you’ve got that helps you to be successful or even more successful in your life? There are two rituals. One is directly business related and one is on a more personal level. There’s a small part of your brain called the reticular activating system. It’s responsible for a couple of things. One is to keep you from lapsing into coma and the other is to just filter on all the information that’s not important to you so you’re not bombarded with so much data. One of the things that I do, one of my rituals is every day usually in the morning, I have certain business success metrics that I measure to. I basically track those every day. It only takes me five or ten minutes. What that allows me to do is in a fun way train my reticular activating system to stay on high alert for information that’s important to me and filter out the rest. The example is when you buy a new car and you go through the process of purchasing it. You sit in it, you negotiate for it, you take it home, show it to all your friends, you washed it five times in the same day, you do all of that. Then the next day, it seems like that car is everywhere out there on the street. You noticed it. What an important ritual for me has been to really get my brain working with me by focusing it on those important things, that new car if you will, every day. That’s a ritual that has worked for me and many of my clients. The other thing that I do which is more on a personal level is gratitude. I know a lot of successful people do this and it’s true for me. At the end of every day, if I’m a little tired and I put it off then I do it in the morning, and that is to really identify at least three things that happened the previous day. Small things that I’m grateful for. That has a tremendous way of resetting my attitude towards what it is I’m doing and stay conscious of what’s important to me and make sure that I’m structuring my life and my business to support me, not that I’m working crazy to support it. Gratitude is a tremendous way of resetting my attitude it is I’m doing. Several years ago I was doing an event in Japan with Tony Robbins and some other folks. I was introduced to a very successful business owner, very successful. He was telling me about one of his mentors who is another Japanese business owner, who’s a multi-billionaire. He shared this with me. He spoke quite good English and he said, “This other Japanese business owner executive billionaire, he says thank you a thousand times a day.” This was his question, he goes, “Do you think that he’s a billionaire because he says thank you a thousand times a day or is he thankful a thousand times a day because he’s a billionaire?” I’ve got the point instantly. To me, you get to see the glass any way you want. I get that. To me, I see the glass as he’s a billionaire because he says thank you a thousand times a day. Gratitude is so important and it’s a perfect segue way into our conclusion, which is to say thank you to all of you. Thank you for listening. Thank you for being a part of this Conscious PIVOT podcast, which is a blessing to me and to so many people I think which is to meet people like Cathy Demers. The work that you’re doing at BusinessSuccess.com is fantastic. I think it’s going to have that impact that you want, that legacy impact, that cathedral impact. Thank you for doing that work in the world. A reminder to all of you that the goal for all of us tomorrow is to wake up. If we can wake up just a little bit more tomorrow than we are today, wake up our spirit, wake up our consciousness, be a little bit more in tune tomorrow than today, we’re making great progress and we can be grateful for that. If you feel like it, you can put your feet on the floor when you wake up in the morning and throw your arms up in the air, put your hand on your heart and say, “I love my life.” That’s a ritual that you could start at any time tomorrow. I know a lot of you are doing it every day. I’ve met people from that talk I did in Japan that are still doing it. I get to hear from them on Facebook. 21 days is usually the base timeframe to create some new habit and then you keep going and going and going until one day it becomes an unconscious thing. That unconscious confidence, the ability to be in the zone, to be in the flow of life is really what it’s about. That’s the essence of pivot. Cathy, thank you again for being on the podcast. I’m so excited we get to share you with our community. I’m so thrilled that we’ll be able to speak with your community about what is the art and science of pivoting? What’s the foundational things that you do to do what you did? I think because of you are who you are and how you’ve been through that roller coaster ride in business and through your personal life that you learn things. You’re doing them on a level of confidence that is unconscious that we could call the flow state or the zone. When you’re in that zone then, it’s not that you don’t have challenges. It doesn’t mean that every day the money just floods into the room or wherever. It just means that you flow with them, you ride them like waves and you don’t get wiped out by them. If for some reason you do on a particular day, you get right back on the board and you’re in the next one. Cathy, thank you for being with us. What a pleasure. I really appreciate you, Adam. Thank you so much. If you haven’t yet subscribed to The Conscious PIVOT Podcast, go ahead and subscribe. You can join us at StartMyPivot.com. You get a Kickstart Guide and then you can join the Start My PIVOT Community on Facebook as well. Have a beautiful rest of your day. Lots and lots of blessings. Ciao for now.